A destination specialty store for young men and women seeking casual apparel and accessories for teens. The store carries its own brand of current apparel targeting 14 to 18 year-olds. Aeropostale provides their customers with high-quality fashion and basic merchandise at unquestionable value and compelling prices. ® 2019 Pierre Bossier Mall. All Rights Reserved. 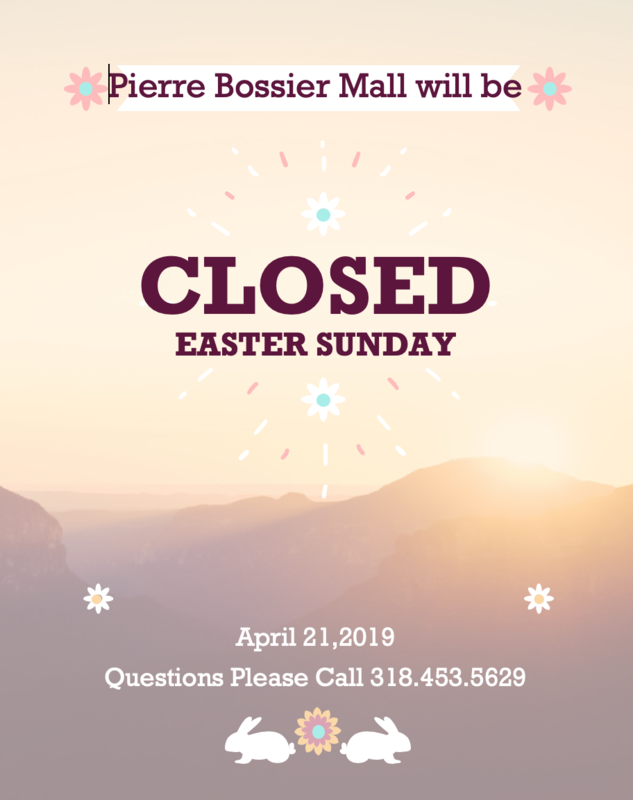 Pierre Bossier will be closed Easter Sunday (April 21, 2019).